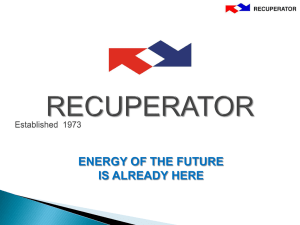 provide a highly efficient ground source heat exchanger for use with geothermal heat pumps. even at laminar flow conditions and, at the same time, achieve this with a low pressure loss. 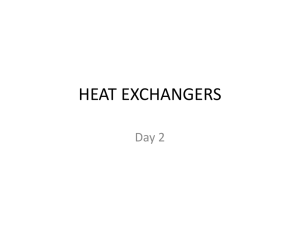 exchanger, the larger the required temperature difference between the fluid and the ground. average efficiency can be up to 25%. 2) Decrease the interaction (thermal loss) between the up flowing and down flowing pipe. thermal conductivity of the borehole material or decreasing the borehole radius. concentric heat exchanger the resistance of the inner pipe wall can be increased. been developed for the installation of this heat exchanger. measure the borehole resistance, the test duration was limited. was collected at 30 sec. intervals using a Campbell CR1000 data logger system. machine, allowing heating and cooling pulses to be administered. error of the flow meter is < 0.2%. temperature in the outer annulus of the concentric heat exchanger. heat exchanger this value is not used. thermocouple sensors fixed to the borehole wall. temperature during the experiment, the resulting error is very small (<2%, Witte 2012). The thermal conductivity is estimated from the TRT data in the usual way (van Gelder et al. a reference temperature at 0 oC. 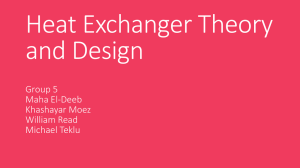 used to develop an improved version of the Geothex heat exchanger. Table 1. Different heat exchanger dimensions, as measured on material. measured and calculated borehole resistance over a range of Reynolds numbers. Table 2. Laboratory measurement U-loop heat exchanger (validation). losses on the other hand are high even at low flow rates. Table 3. 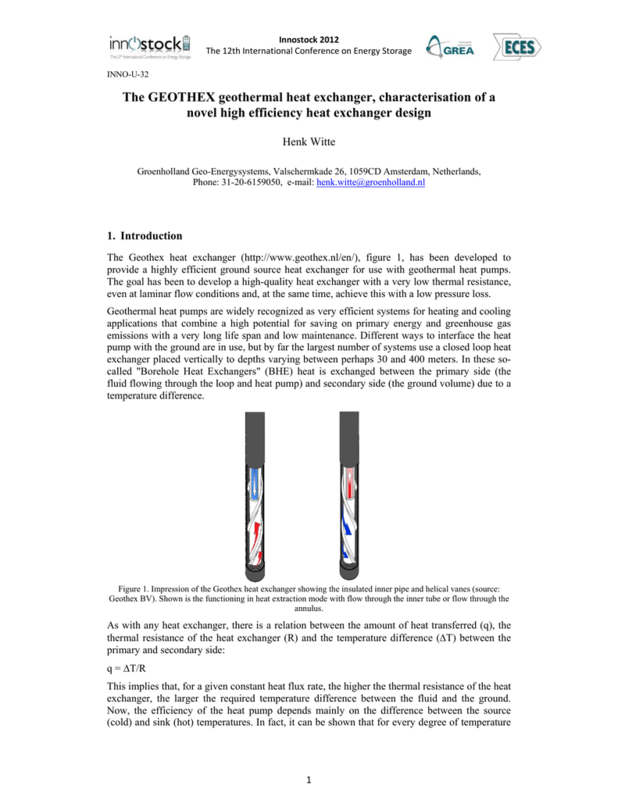 Laboratory experiments Geothex I prototype heat exchanger thermal resistances. Figure 3. Pressure loss measurements Geothex I prototype, U-loop pressure loss indicated for comparison. measurements are presented. Table 4 shows the results of the thermal resistance measurements. 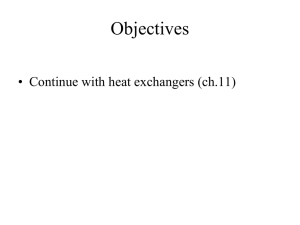 resistance of the heat exchanger by itself (experiment 1, 3 and 4). at higher flow rates is still somewhat higher than the pressure loss for a U-loop heat exchanger. Table 4. 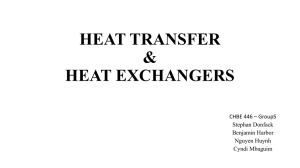 Laboratory experiments Geothex II heat exchanger thermal resistances. Geothex prototype and U-loop heat exchanger are included. 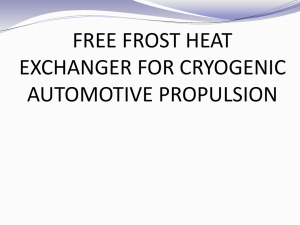 extraction, positive heat flux: heat injection. Figure 5. Field test results (borehole resistance) ordered by Reynolds number. has a good performance, especially due to the very small borehole diameter. very comparable to the field measurements. installation. 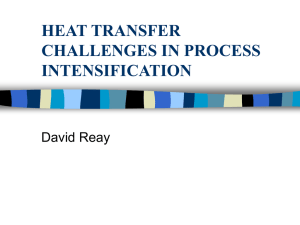 The main trade-off is to balance the enhanced heat transfer and pressure loss. (Reynolds <500) and installed in a borehole, the thermal resistance is still only 0.11 K/(W/m). achieved when compared to a standard U-loop heat exchanger. Geosciences at the Crossroads of Theory and Practice, pp. 146-163. Witte, H.J.L. 2012. 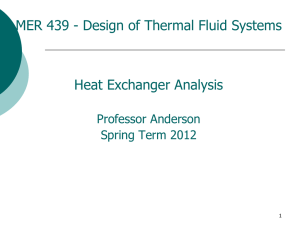 Error analysis of thermal response tests. Innostock 2012 - INNO-U-08. Conductivity: The Dutch Perspective. 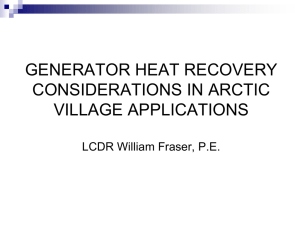 ASHRAE Transactions, Vol. 108., No. 1.